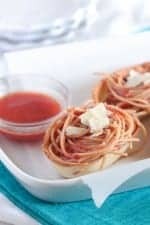 These Garlic Toasted Spaghetti Boats are the perfect quick fix weeknight dinner the whole family loves! 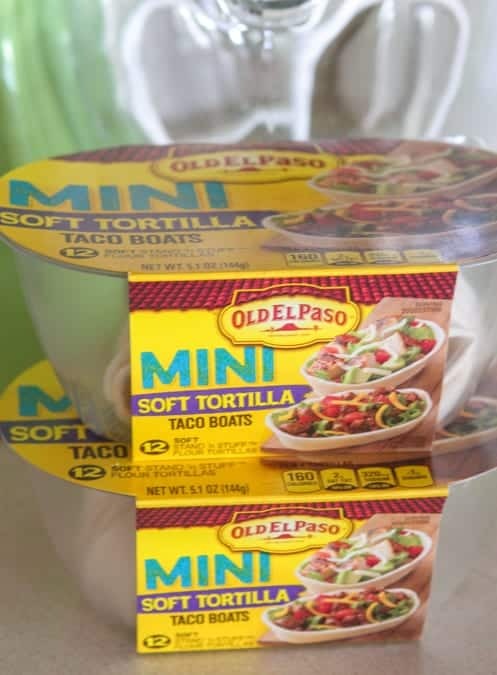 Thrilled to partner with Old El Paso today to bring you a new fun simple dinner and or appetizer recipe. 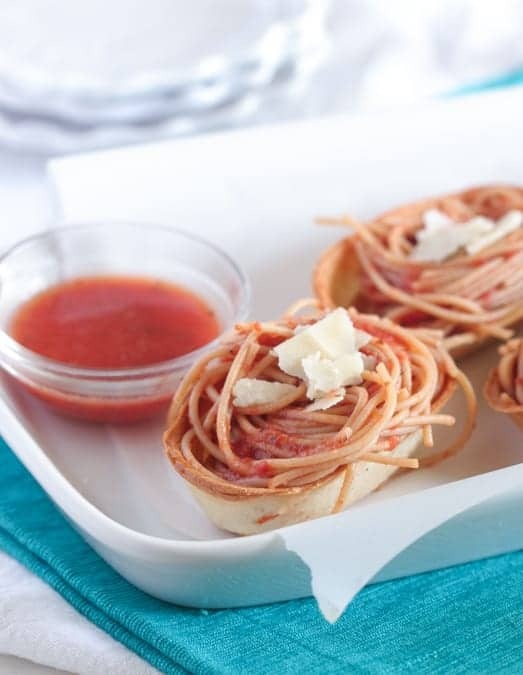 I brought some of my favorite flavors and created them into the most adorable little spaghetti boats. 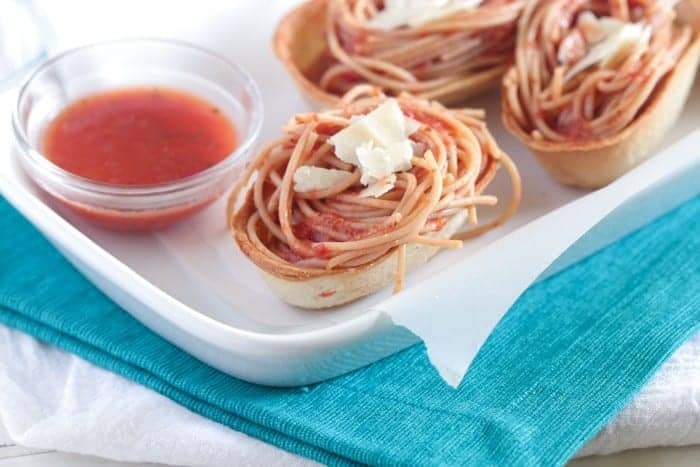 These are a great idea if you’ve got leftover spaghetti in the fridge for a new leftover recipe. Either way….everyone loves these! Be sure to check out Old El Paso’s Whatever Floats Your Taco Boat Sweepstake. To enter: Tell us what floats your taco boat! 1 entry per person per social channel. 3 total. 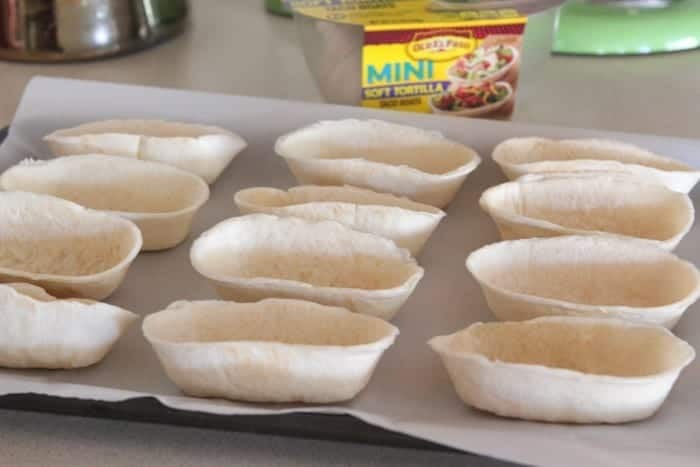 You’ll use these cute Old El Paso Mini Soft Tortilla Taco Boats. Seriously love these. 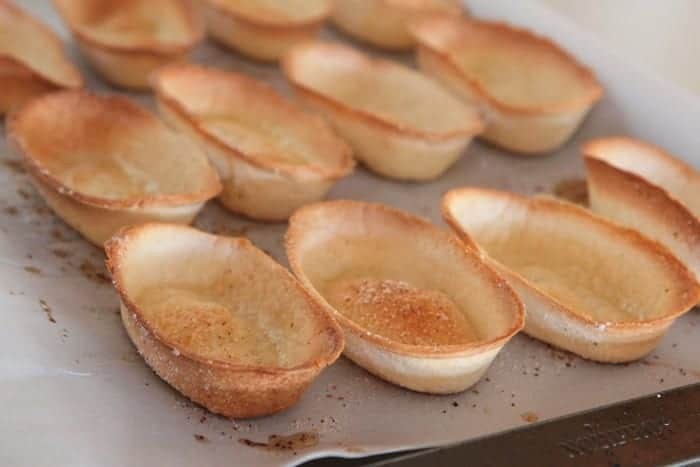 Place your little boats onto a baking sheet. Brush outsides and insides with melted butter. Season with pinches of garlic salt. Bake until golden and crisp. Like so. Drain pasta and stir in your favorite pasta sauce. Top with some parmesan cheese and serve with a side of pasta sauce if desired. Enjoy! Preheat oven to 400 degrees F. and line medium baking sheet with parchment paper. 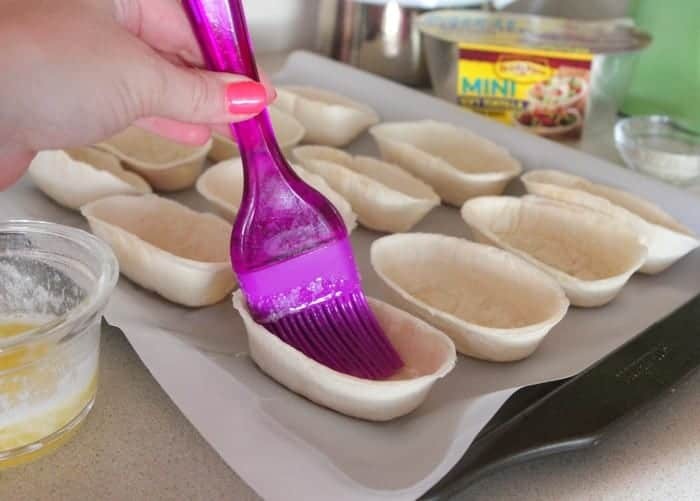 Place mini boats onto baking sheet. Brush all sides with melted butter then sprinkle lightly with garlic salt. Bake for 10-12 minutes, until golden brown and crisp. Remove from oven. 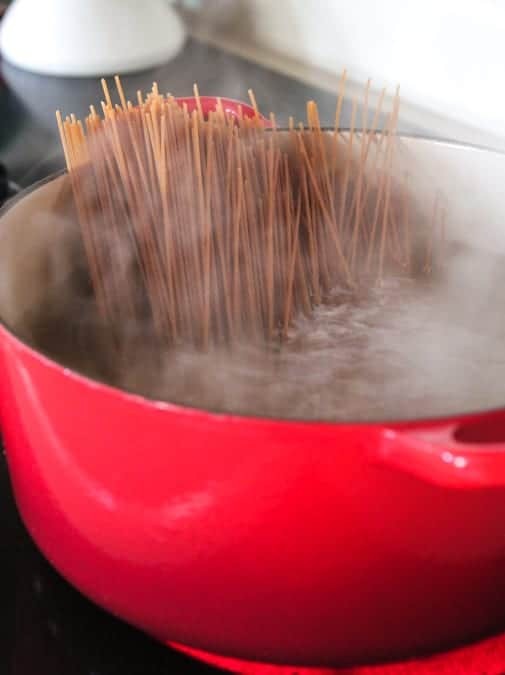 While boats are baking, place spaghetti noodles and sauce into a medium mixing bowl. 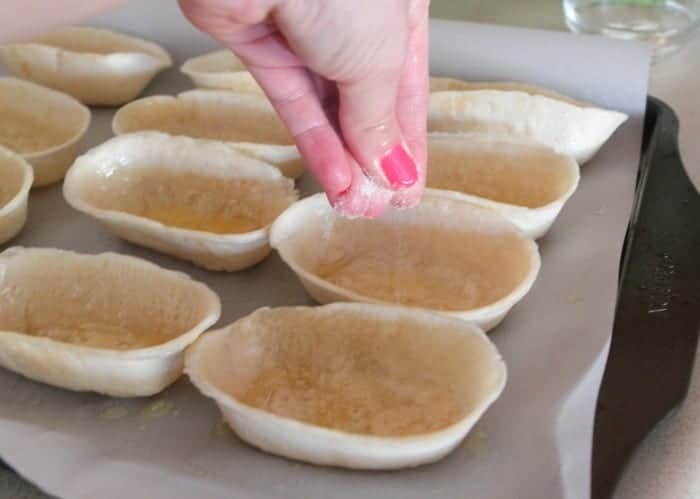 With kitchen tongs, place noodles into baked boats filled to the top then top with parmesan cheese. Serve warm. These are so much fun! Love the little shells that these boats. what a fun and creative way to eat spaghetti!! 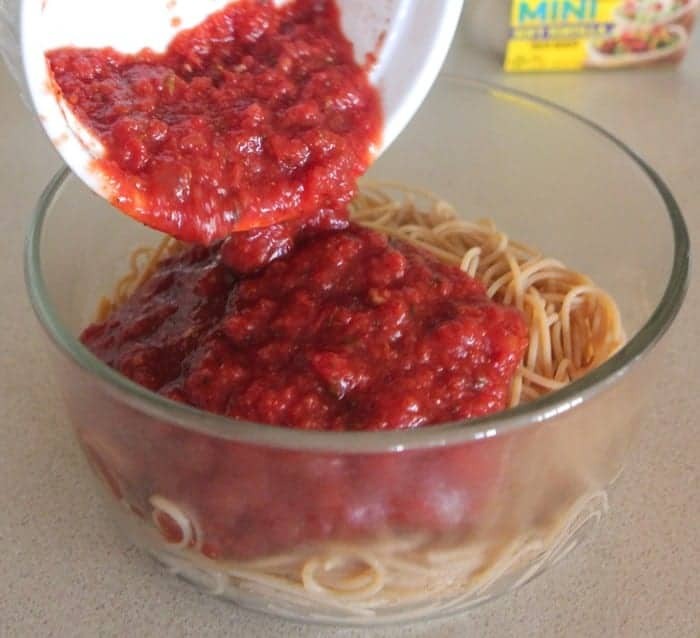 Great idea for leftover spaghetti! 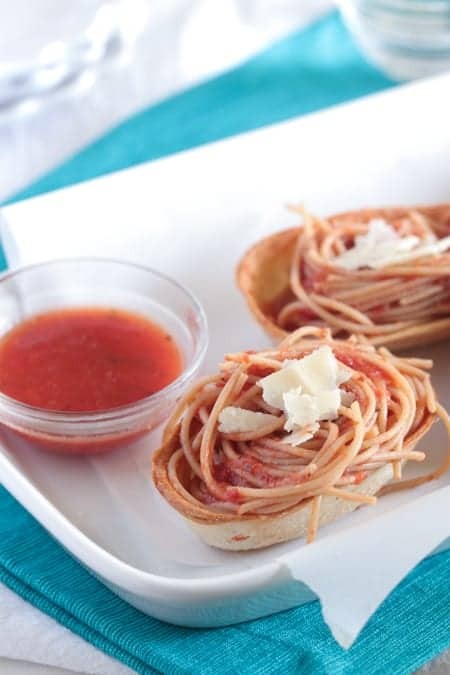 Very Clever way to get kids eating their spaghetti! 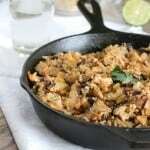 This is such a creative and delicious recipe idea! This is PURE genius! I love having garlic toast with my spaghetti, but having my spaghetti in toasted boats? YES. 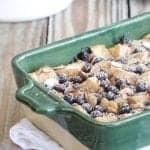 Pinning and dying over these! what a fun new way to eat spaghetti! I am pretty sure my boys would devour these!! It’s still hard for them to twirl pasta so this would be perfect for them! These bowls are so delicious looking! It makes eating spaghetti even easier! These are so amazing! This is definitely a way to get my kids to eat! Besides, garlic toasted boats… I love that! !